Sorry to you hear that you hadn't had time to take care of yourself. I understand that when life gets crazy, our wellness is the first thing to go, but you know that it's not the best way to go for your long wellness. Glad you realized that you are actively doing things to get back to your normal. Good luck with the cleanse. Life is just so busy these days. My dad has been having quite a few health problems this year and it is hard to deal with, especially juggling all the after school activities, etc. Whew. You def. need to take a break and take some time to yourself. I am going to try to start eating better next month... wish me luck. I eat horribly! Yes, recently the term "sandwich generation" makes so much sense to me! :-) Good luck with cleaning up your eating! At least it's a bit easier in summer as there is so much delicious fresh produce available (at least that's what I find most of the time...). Good luck with the cleanse. I've been drinking a green smoothie every morning for months and have noticed the difference! 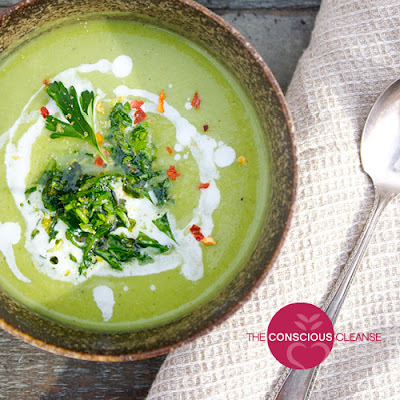 It's hard to stay on the healthy path sometimes, so a good cleanse is always good for you. Out with the bad, in with the good! Yes, it's easy to go off the path... Thanks, Fabi! I hope you are feeling netter real soon. Good and healthy voor is so very important. I see friends skipping breakfast, eating prepared food and always are tyred blaming their work. Good luck with the cleansing! Thanks, Nancy! And you are so right, food makes such a difference. Good food and taking care of ourselves properly really needs to be our number one priority every day! Taking care on yourself is always a good idea and your health plan sounds very good indeed! You will be feeling better soon! I try to eat clean most of the time, and it's amazing how better I feel on the days that I do compared to the ones that I splurge on! It's a lot of prep work, but the added energy is worth it alone! Good luck on your cleanse! Yes, the added prep work is worth it! Thanks, Rachael! Being a parent can indeed be stressful -- I speak from experience hence healthy eating is so important! Such a great post and gifting yourself is always a good idea! I find the start of a new eating regime is wonderful. It's the keep at it that becomes a challenge. Thanks for this post. It is so easy to get into the bad habits little by little, and so hard to change! Just like working out!! I've actually never done a "cleanse"---I'm probably too lazy! Have a wonderful weekend, Jodie! Gosh I can relate. It's so easy to let life take over (my 10 year old has been in flute, baseball, and math club). My parents are both gone, but my stepdad hasn't been well, and I remember when my husband's grandparents were aging. Stubborn isn't quite a strong enough word for it! Hope you'll get to relax a bit over the long weekend! I've always been tempted to do a cleanse. This one sounds easy! I agree it's too easy to get wrapped up in stressful situations and my health is always the first thing to go. Have a great weekend! Yes, I find it easy to do. The key for me is to make sure to do prep work so you are never without healthy options. This is a good way to take care of yourself Andrea! I can understand how life sometimes is so busy and we take care of our family first and put ourselves last. I drink way to much coffee... especially during busier times. This sounds like it's do~able and easy to manage too! Yes, it's a great way to get back on track. Coffee just gets out of hand so quickly for me once I start. But if I don't drink it at all, I'm fine! This sounds like a well balanced cleanse. Good to hear that it make you feel so well. Thanks for letting the readers of the Bloggers Pit Stop know about this cleanse. Yes, I'm really looking forward to doing it this time around! And thanks for hosting the pit stop, Kathleen! I think I need to do this...thanks for posting, Andrea! Life is so busy and hectic lately. I've been wanting to do some sort of a cleanse and this sounds very doable! Thank you for sharing this! Yes, it's very doable. I did my first cleanse during a very busy time, and it really helped me feel better. Hope you are having a wonderful weekend, Jill! Will be following along on your repeat cleanse. We are doing 21 DF and got off the band wagon this weekend but it really felt awful eating junk again and I don't feel good, either!! Amazing how eating better makes you feel better all over. Thanks, Leslie! I already made some changes and am already feeling better! And, yes, it is amazing how much what we eat affects how we feel! Life gets so busy, and yours sounds extremely full. I hope that this helps you to get more on top of things, or at least helps you feel less stressed. Now that I am more conscious about what I eat I do feel so much better. I miss gluten, especially in pastries, but I am learning to fill that craving in a healthier way. I love summer for good, clean eating. I crave fruits and veggies so much more when it's hot out. 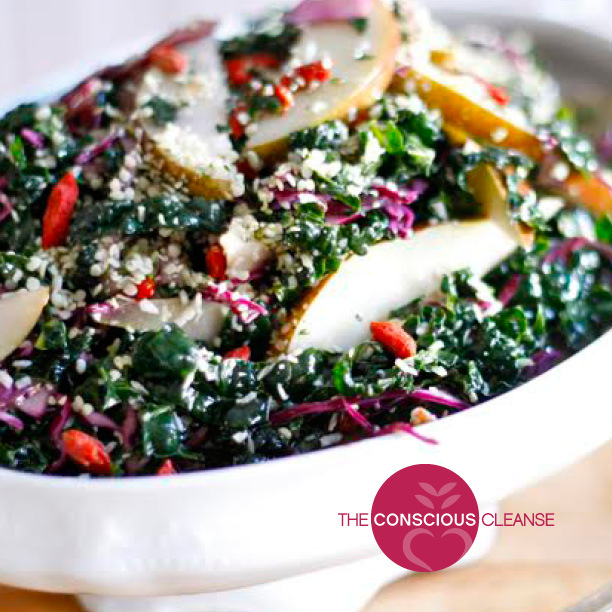 Good luck with your cleanse, look forward to seeing your results! Thanks, Nikki! Yes, eating can make such a positive impact on how we feel (and not eating well has the opposite effect...). I'm getting off caffeine right now, and that's been challenging... But I am also drinking warm lemon water, more water in general, and have been consistent with green smoothies. I've also already added a lot more veggies back into my diet, and I feel already a lot better.